Why does this happen during the run + Skye’s BLESSING Day! *I Found an ANSWER to My Problem + 2 FORM Things + Monday Matters. We had a special day yesterday! 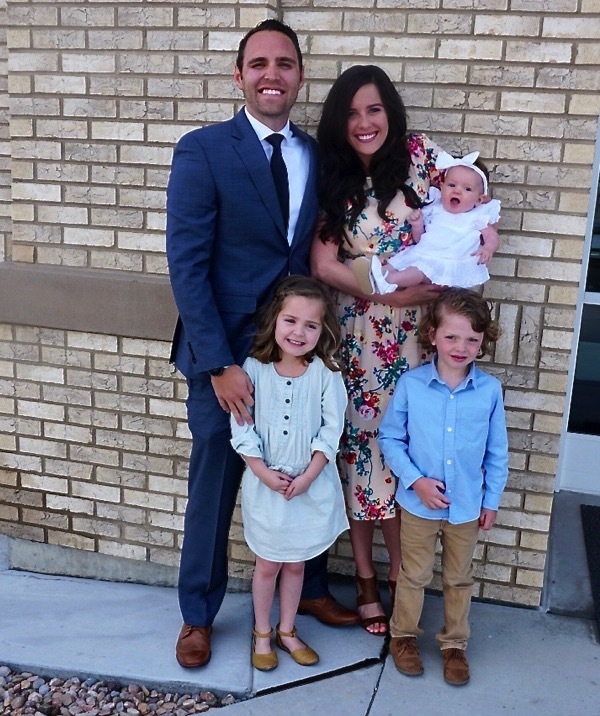 Skye had her baby blessing at church yesterday! 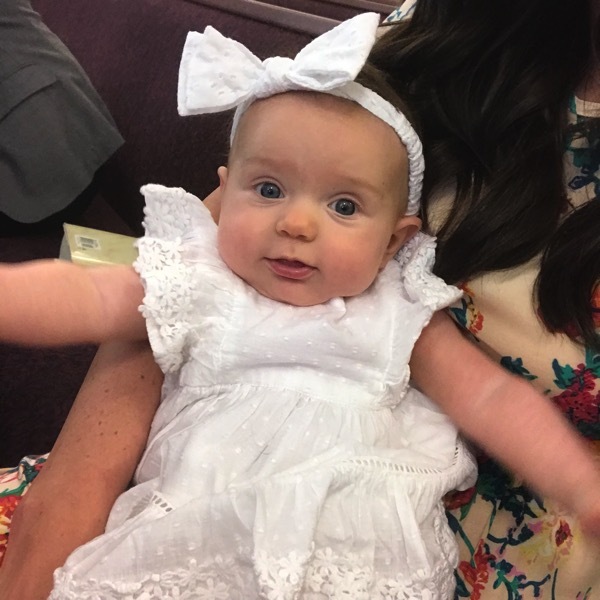 I took this picture before church started… I think she was really excited to have a day that was all about her and to have all of our family come to celebrate. 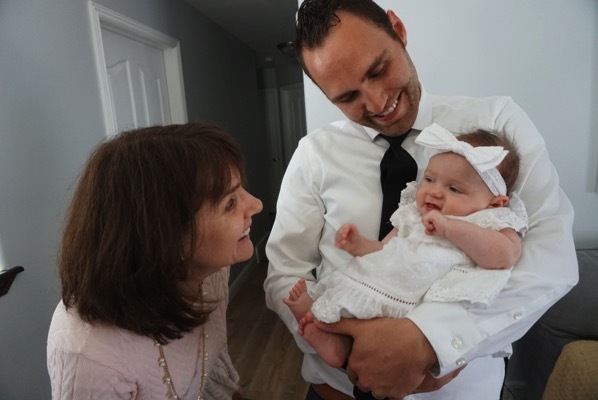 Andrew gave her the blessing and it was beautiful and very special—> it was a day that I prayed for, for many years! After church, our families came over to celebrate with food. 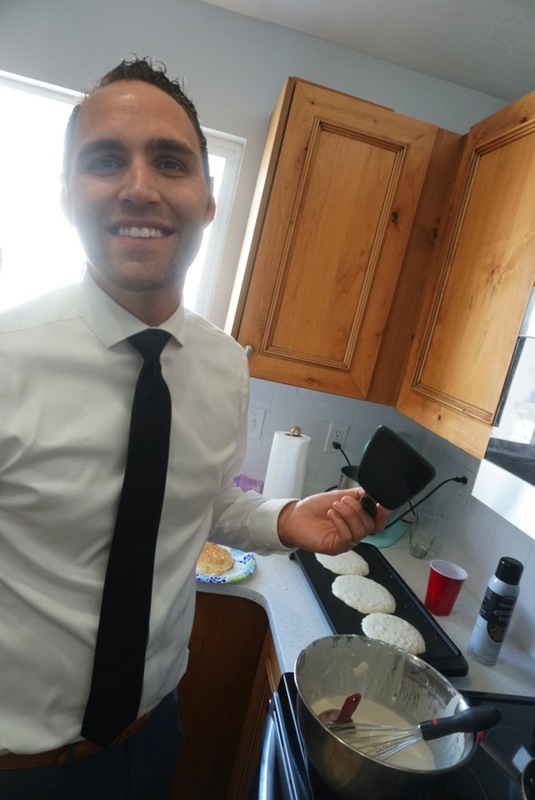 We decided to do a big brunch for everyone and Andrew made a ton of pancakes and waffles. 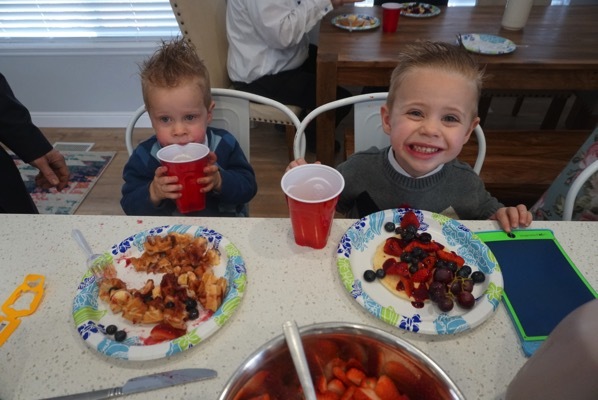 We topped them with fruit and syrup! 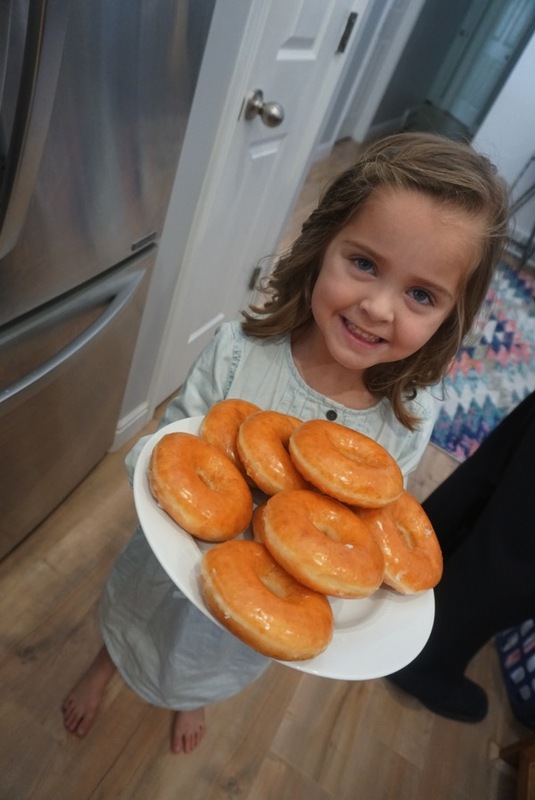 We also had donuts too. If my oldest niece is around, she wants to hold Skye the entire time. They are already forming quite the bond. Hello from my sister because you haven’t seen her for a while. We both are into floral dresses as you can tell. Some of the kids played outside for awhile too. Everyone left carb-loaded and ready for a Sunday nap. We had another family get-together at night (not sure if you noticed, we kind of like getting all together and eating food). It was my nephew’s birthday so we celebrated with hamburgers and salad. The highlight was going on a long walk together! I’ve got a few thoughts about nutrition/hydration while running that I wanted to talk about today! *If you are ever running a course where you won’t be coming across water fountains—> go out the night before your long run and hide a few water bottles. I did this on Friday night so that Candice and I would have water at 2 separate spots (and since we did an out and back course we came across our water 4 times). 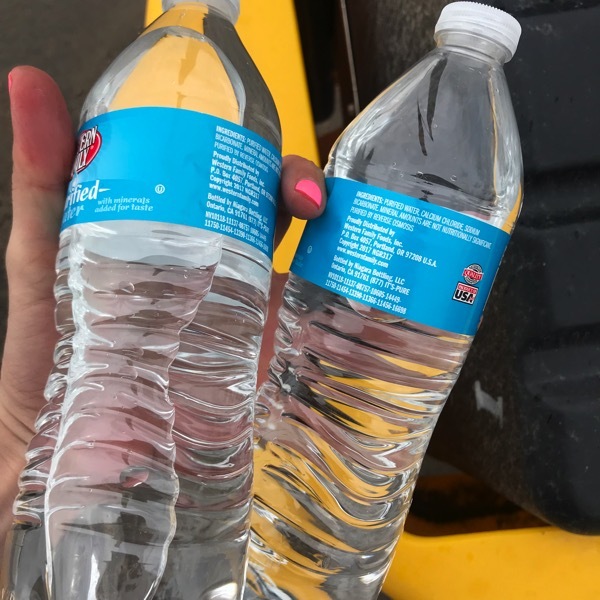 You can store your water near an area that has trash cans or pick them up after your run.1 This way you don’t have to carry a water bottle and it made it easy to stop, grab some water and take our gels. I’m really wanting to get my body used to eating and drinking while running. *My favorite gels arrived from Amazon. Huma gels are back in my life. Back when I was going through a million GI problems, I switched from gu to these and they were so much better on my stomach. On Saturday I had the Mango and Raspberry ones. While I was eating my first one I was taking it slowly (and not loving life even though I think they do taste better than other options) and Candice told me to just take it all at once and it would be better, she was right. So instead of slowly taking them I am just taking them all in one or two shots to get it over with ha. *Like I said last week, I really think that my nutrition before the race and during the race is going to be the thing that is going to really help me out in the marathon. I want a solid plan. I don’t want to wing things anymore and I want to know exactly what is going to work for me and use it on race day. My question about running while eating is WHY IS IT SO HARD?! During the day (and at night;) it is ridiculously easy for me to eat. I can consume hundreds of calories in minutes and enjoy every second of it ha. But then you get me running—> oh my goodness, eating is a chore. It’s hard to chew while I’m gasping for air or take a gel when they sound awful. The solution to this—> Practice makes perfect or practice makes it a little easier for my stomach to take in energy and turn that energy into speedy legs while I’m running. I’m practicing once a week right now and I’m sure that this practice will happen more and more when I have longer runs during the week too. There is no perfect answer for all of us when it comes to our running nutrition, it’s a matter of trial and error and figuring out exactly what our body handles best, how much and how often! Does food/eating sound awful to you too while you are running? How does your stomach handle food while you are running? Have any tips/tricks to share—> WE WOULD ALL BENEFIT from them! Have any really great or really awful fueling while running stories to share? Have any goals for this week? What was the best part of your weekend? 15.22 + PREP + My Training Log! Tuesday Tangents + My Most Common Running Lesson!! 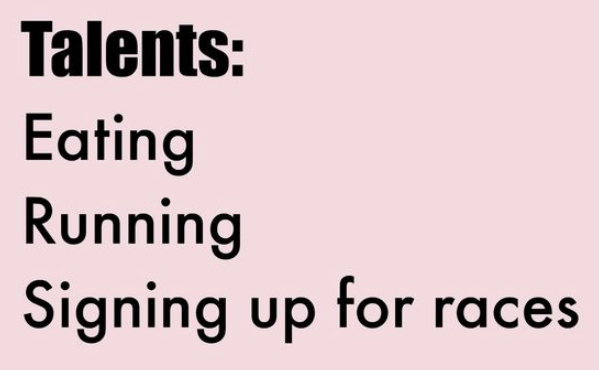 My Dad will be so proud of me. What a great celebration with family for Skye’s blessing! And, as usual, those pancakes look delicious! I definitely can’t eat while I run. I haven’t been running more than the half for years now, though, so I haven’t needed fuel during the run. It KILLS my stomach and makes me feel so sick. 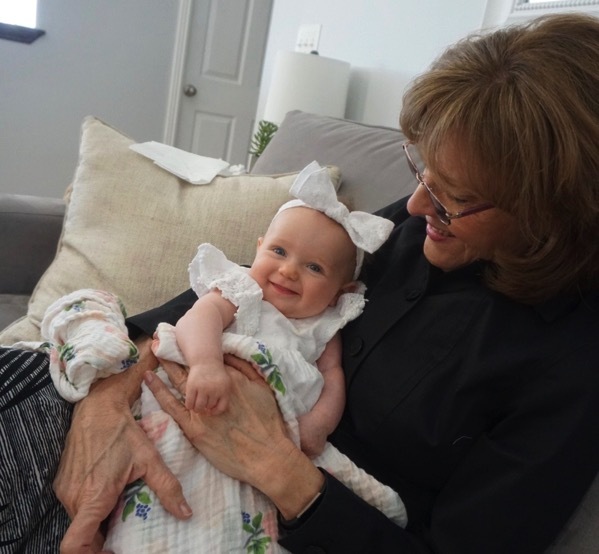 The best part of my weekend was passing through Dallas for a wedding in Austin and getting to see my family for a couple of hours and snuggling my niece! :) And this week, my goal is definitely to get more sleep—it’s been an ongoing issue in my life that I really need to improve. The pictures of Skye’s blessing warm my heart. I love that you all spend so much family time together. Goals for the week include getting back to running. I have been hit or miss the last couple months, but I know that I always feel good after running. I have been doing a 30 day online yoga class also. I don’t realize how much I need to stretch until I do the yoga stretches. HaHa. Best part of my weekend was taking my sister to San Antonio to celebrate her birthday. We lived there as kids and have lots of memories. Saw the Botanical Gardens, (everyone should go if you’re ever in SA) and the Missions of San Antonio. Had a great time. Have a great week Janae!! I am SO glad that you were able to take your sis to where you lived as kids together. I want to go see the Botanical Gardens. Good for you to be doing the online yoga class, that is awesome Kate. Have a beautiful day. What a special blessing day for Skye! That scenery on your walk is so beautiful! When I ran a half my only fuel was Cliff Shot blocks….I coulnd’t do a gel. Of course that was just a Half;) Love the pic of you and your Sis! 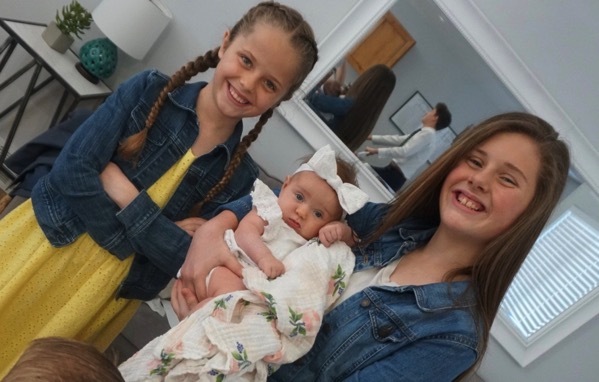 Sisters are a treasure! I wish mine lived nearby! The Eastern Orthodox Chrisitan faith ceebrates Easter relative to Jewish Passover, so this weekend was Greek Orhtodox Easter (instead of last weekend, like for your religion, Catholicism, and the different Protestant religions…). So my husband and I have been visiting my parents at their condo in FL at the beach for the holiday. Today we fly back to Atlanta–and back to #adulting. It’s been nice to be in the 82 degree weather, and I had a little reminder yesterday that I need to get myself ready for running in the humidity that will fall over Atlanta SO QUICKLY (any tips or tricks for preparing the lungs for all that humid air?!?!?)!!! GELS: when I was able to run long distances, I loved them. But I had a habit of one flavor and sticking with it, so after an entire training cycle I would no longer be able to even consider that flavor of that brand of gel! That said, I think the lemon flavor is the best huma gel…it tastes, to me, like lemon curd or like the lemon filling in a lemon meringue pie! I used to keep that one in the fridge over night before my run, because having it start out normal temperature and then get to the warmer temp that happens on the run–it would make me feel a bit nauseous. But starting from a chilled temp and getting warmer–so much easier for me to digest!! Stephanie, thank you for sharing with me about your holiday weekend… it sounds like it was perfect! I hope that the transition back to adulting is an easy one:) I just listened to the podcast episode with Neely Spence on I’ll Have Another with Lindsey Hein and she had some tips about running/racing in heat/humidity so check it out. THANK YOU SO MUCH for the lemon/fridge tip. That is just what I needed and I’m going to try it out. I love your goal, you are doing awesome and I hope that 2019 is your year for your half-marathon (with a happy knee)! Ohhh thanks for the tip on that podcast! I will listen to it this week!!! Congrats on Skye’s blessing. Also, so happy for you to be in the place you dreamed and prayed for. That is exactly what I needed to hear Erica! I OVERTHINK things like this and I just need to take it and move on. I will be using what you said big time on my long run this weekend. Thank you. Have a beautiful day with Hope! Food never really smells (like when you run past a fast food place) or sounds good while I’m running either. I can’t say I’ve ever really fueled during a race or run though either, except for water and Gatorade. I’m happy you it’s had skyes blessing go so well. That is such a fun, special day! Congratulations to Skye & your family! She’s just adorable. Thank you so much Cheryl! I hope you have a wonderful day! I have a hard time chewing anything so huma gels are the best. I get them down in 2 or 3 shots. While running….especially in the summer….fantasize about everything I am going to drink but food never sounds good. In fact, it takes about 30 minutes after my run before i even feel hungry. 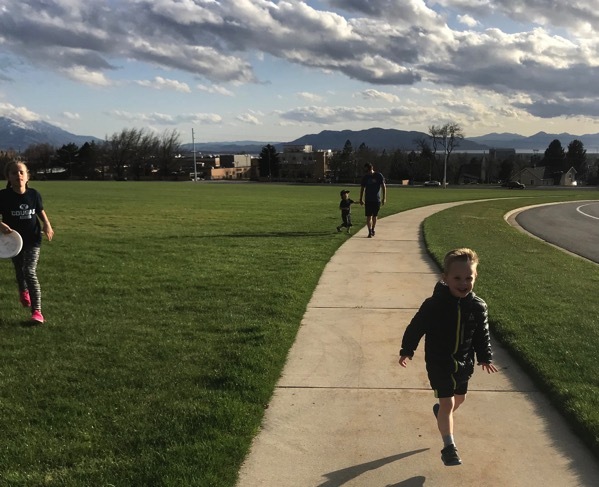 I struggled with stomach issues and eating during running a lot after my 3rd baby – new for me because that didn’t happen after my second (when I started running). I was needing to find bathrooms all the time and my stomach was super gurgly. Thankfully it has gotten all back to normal – I’d say it took almost a year which makes sense because a year is the average time for your body to settle all back into where it needs to be after having a baby. Weird! That is so interesting that you had this problem after your third but not after your second. SO HAPPY it is back to normal for you Laura. I hope you have a beautiful day! My stomach is very sensitive while running. 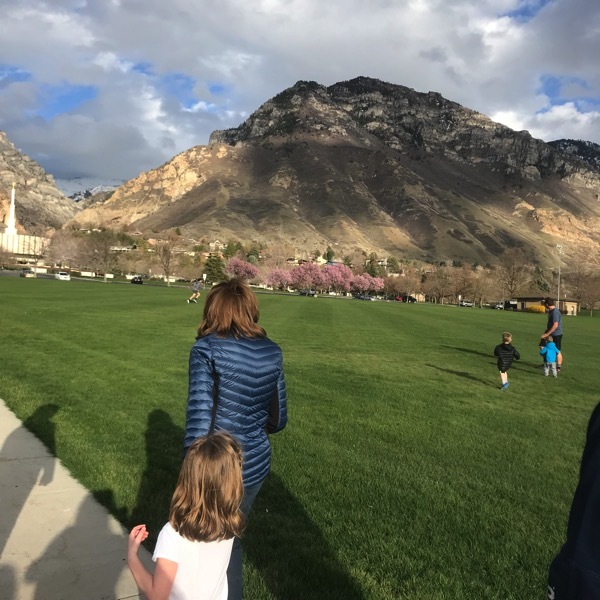 I use Tailwind – have you ever tried it? It might eliminate your need to eat anything on the run at all – you get all of your calories from drinking. Okay, I have a few questions for you if that is okay Amanda:) I just want to get a better idea before I buy a whole thing of it ($$… I wish they had samples;)! Do you do the caffeinated one? What flavor do you think is the best? For race day do you carry it with you or do you have people hand it to you along the course. I would much rather drink my calories than eat them during the run so Tailwind sounds pretty exciting to me! Sure…I would recommend buying the sample pack at first, that way you can try the flavors and see which one you like best. I tried all of them, and honestly, my stomach can be soo tricky I ended up going with the unflavored (naked). The flavors all tasted good, except the green tea & lemon…I am not a tea drinker, and I love lemon desserts, but not as a beverage flavor. I do sweat a lot, so I carry along some Goldfish crackers to get extra sodium, and that gives me a little flavor along the way too. For race day, I wear my hydration pack (same as while I’m training) because I don’t like drinking from cups along the course, and it’s easier for me because I don’t usually have family along the course to hand me things. I’ve never ran a full marathon, just halves, but I do have a friend who uses Tailwind before running a marathon, and then supplements with Gatorade on the course, and that works for her. If you give Tailwind a try, I hope it works for you too – figuring out nutrition on the run is such a puzzle! THANK YOU for taking the time to answer my questions! I am so glad you have figured out what works for you and your stomach. I just bought the sample pack to try it out! THANK YOU for sharing, this sounds perfect for me! I hope you have a great day Amanda and the naked one sounds like the best solution for me. My niece ran a marathon yesterday and for her the drinking is a problem because isotone drinks make her sick. So my brother- and sister were not just there to cheer her on but also to give her some cut up oranges. They’re great parents :-) She went to a party straight after finishing by the way. Crazy girl she is. Your brother-in-law and sister are amazing to go and do that for her! Congrats to your niece and I usually want to just sleep after a marathon! I hope you are having a great day so far Nicole. I’m definitely terribly at fueling while running because nothing sounds good. I’m slowly trying to get back into running after having my baby and it’s tough, so one of my goals this week is to focus on progress, not perfection and try to get in 3 runs. 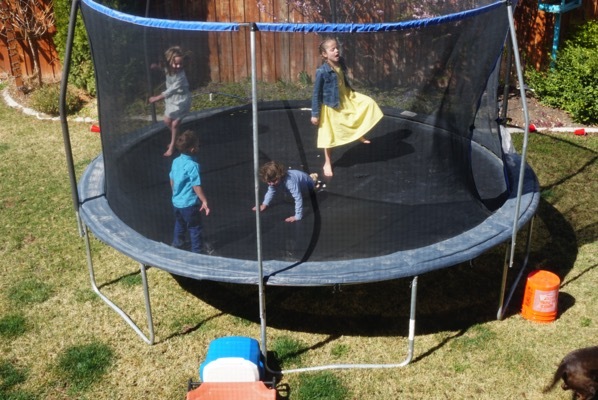 This is a tougher goal than it seems with a 4 month old and 2 year old at home! 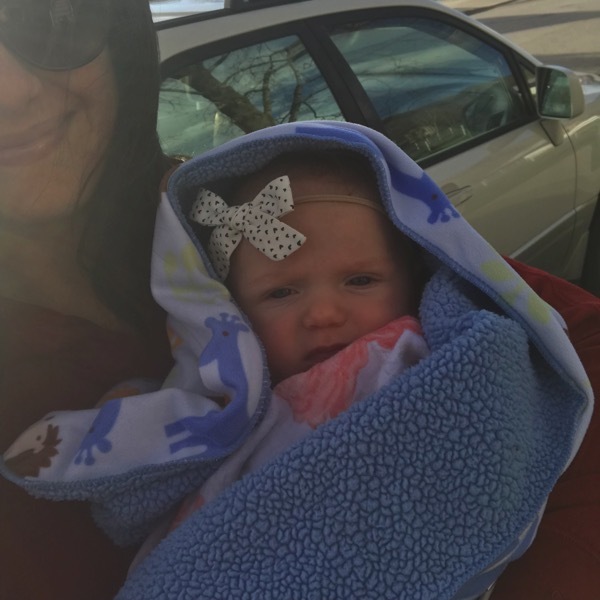 Congratulations on Skye’s blessing! Where is your dress from? Ahh! Such a beautiful day for Skye! It was great seeing your families together! Brooke’s hair is so cute! Long, short, doesn’t matter! Favorite part of our weekend was just being together after having our son in the hospital last weekend. :) Have a great day Janae! Thank you Marie. I am SO sorry about everything your family has been through. So glad he is home and keep me updated on how you guys are doing. Thinking about you! What beautiful photos of Skye’s celebration! Glad you all had a lovely time! 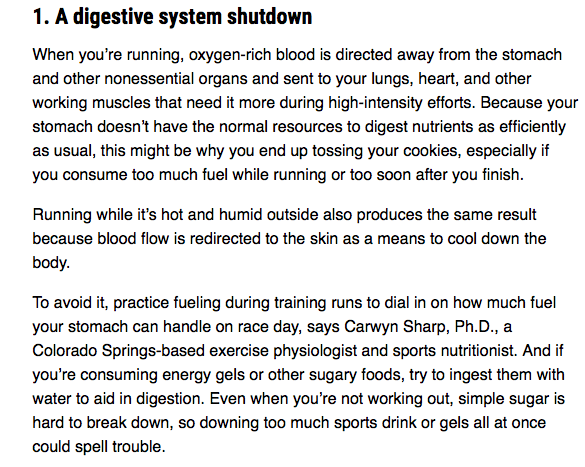 I have SUCH issues with running and digestion! I am definitely still trying to figure out what works best for me but a lot of the time it is just trial and error and hoping for the best. I need to eat something before a run but I also need time to digest. So sometimes that means getting up super early before a long run. I stick with plain toast and honey before my runs and then Huma gels have also worked the best for my stomach during. Looking forward to reading other people’s tips and tricks! Beautiful family pictures… wonderful memories for sure! I stomach Powergels pretty easily as long as I only take it half a gel every 30 minutes and with water only. I tried with gatorade a few time and it’s too much sugar at once for me. I am curious about Huma and chia as a fuel source. I will order a few and give them a try during training. Goals – get my nutrition back on point. I think my runger has taken over and I have not been eating as well as I should. I am all meal prepped for this week though, so I hope that helps! Best part of my weekend – Saturday night I got together with friends and we had one of those really great nights where you just laugh and laugh and enjoy the company of amazing people. 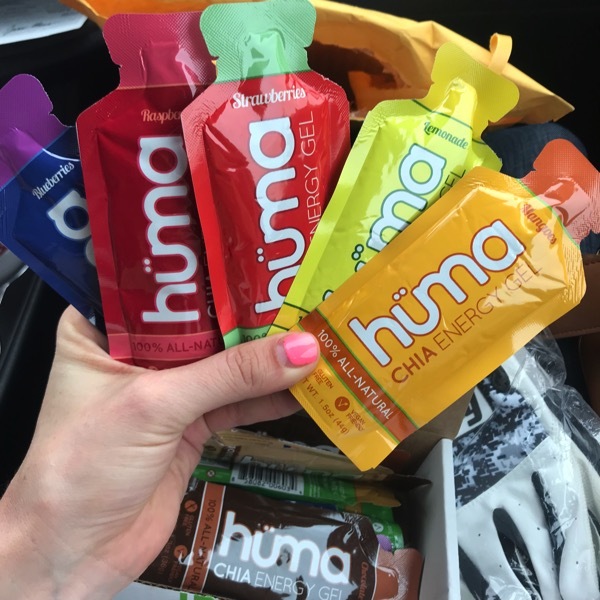 Another fan of the Huma gels here! I actually took one yesterday, during my 10 mile race (the Cherry Blossom race in DC). Have no idea how anyone takes it all on one shot while running though… I think I might gag. I prefer to take it in slowly, as needed. It was my first experience fueling during a race and I think it went ok, or at least worked for me anyway. :) I took a little at the 5K mark, then more at 10K and the rest at the 15K mark. Oh, and the apple cinnamon Huma gel is my favorite. I’m not nearly as fast as you are though, so I see why your friend recommended just taking it all in one shot. I agree – practice what works for you and go with it! Best wishes on your marathon! WAY TO GO ON CHERRY BLOSSOM yesterday. I want to do that race so bad someday. I am going to try the apple cinnamon next, thank you Koryn and I hope you are having a beautiful morning. Congrats again! Thanks Janae!! And yes, you should really come to DC and run the Cherry Blossom 10-miler one year – it’s such a beautiful, mostly flat course! Hopefully, the temps will be a bit warmer if/when you do – it was in the lower 30s for the entire run yesterday. Brrr!!! Lol. Oh my goodness… eating while running is so hard for me! During long runs and races, I take energy chews (Gatorade, Cliff blocks, etc) to eat. I have found that my stomach can tolerate these the best. But, it's like my body doesn't know how to chew and swallow while running. It's a strange thing. I do know though, that when I hydrate and fuel properly, I have the best races. It just takes a lot of practice! This week's goal for me is to do more stretching!! My calves felt so tight all of last week! Oh, and more core work! Here's to a great week! Skye looks so adorable! She definitely knew it was a special day! Food is a big topic during my long runs. I love to think about what I’m eating when I’m finished. Although, it takes me 15-20 minutes before I can actually eat. I’ve been thinking a lot about better fueling during my runs. Those last 2-3 miles are pretty tough sometimes, especially during the summer. I usually drink UCan before long runs while I’m driving (after eating breakfast). It helps keep my stomach from feeling yucky or gurgling. Goals for this week are getting enough rest and not eating out as much. I’ve got some tough workouts and I want to be prepared. My long run yesterday was the best part of my weekend. I have the best running buddies and we have so much fun. Yay for Huma! Try the strawberry lemonade flavor if you haven’t already–that one is my very favorite!!!! Hiding water bottles is such a pain!!!! ha ha I do it, but it’s not fun for me. I have an Orange Mud vest that I wear sometimes, too, so I don’t have to hide water. Best part of my weekend–sleeping in yesterday and hitting hot yoga ALL THREE DAYS of the weekend–Fri, Sat, and Sun. That makes me and my body so happy :) OH, and I did the pose “Wheel” for the very first time ALL ON MY OWN (no teacher help) yesterday!!!!! WOO HOO! That really did make my day/weekend!!! Now I want to do it with one leg up in the air! Always a new goal to shoot for! You are so good at throwing together family functions with good food that’s easy to make yet looks so delicious. I’m not so good at this! Love your pancake/doughnut brunch!!!!!! Hope you have a great week, Janae!!! Great work on that long run!! Huma are great! I think they taste like flavored applesauce. They go down pretty easy too. Some Gells (cliff) are super thick! My husband also loves Untapped. It’s basically a packet full of pure maple syrup. I have yet to try them during a race but normally bring them cycling and my tummy does well with them. My new favorite running fuel are the Honey Stinger chews! I found that the chews (basically gummy candy) are easier for me to ingest because it’s less calories per chew than taking a whole gel at once (and I hate carrying an open gel). The only con for me is that I’m not quite coordinated enough to chew while running , so things can get a little dicey ;) I also like them because you can buy the packs with assorted flavors (or even mix them up yourself)- nice to mix things up b/c I don’t like eating while running. (CLIF shotbloks are great too, but bigger, aka harder to chew)! I have the hardest time eating while running or even after running sometimes. The biggest thing that has helped me is making sure that I have water along with a gel. Goals for this week are to run 4 times with 1 speed day and 1 long run day. Best part of my weekend was also the worst part of my weekend ;) I ran a race with my kids and they all did fantastic! Two of them got 1st in their ag and 1 got 3rd. My husband and I, however, took a wrong turn and ran 7 miles instead of a 10k. Ha. We both still managed to get 2nd but it stunk! Huma are great! I think they taste like flavored applesauce. They go down pretty easy too. My husband also loves Untapped. It’s basically a packet full of pure maple syrup. I have yet to try them during a race but normally bring them cycling and my tummy does well with them. 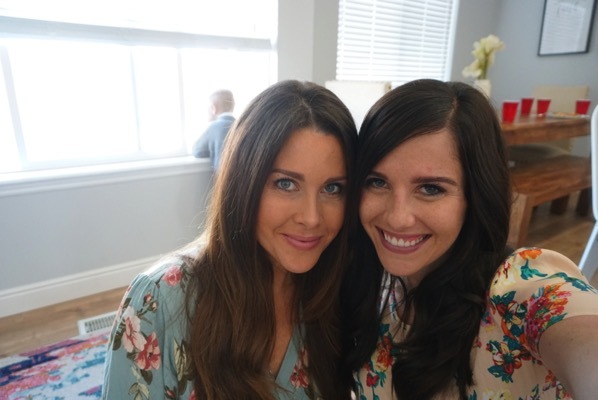 OMG Brooke’s hair is so cute! I hate eating while I run…I even have problems eating for a while once I get home from a run! The best part of my weekend was my first race with my dog…we were the first dog/human pair to finish, I was 3rd female, and 1st in my age group! WOW! I’m still riding the runner’s high! – I CANNOT do gels. They feel like eating snot to me and make me gag. I do a mix of peanut butter pretzels/crackers/fruit snacks/tortilla/Honey Stinger waffles/sport beans/etc – easy to digest carbs that I eat right before water/Gatorade stations to wash them down. True, I look like I have a tumor on my leg when I start a race with all that in my pocket but it works for my stomach and disappears by the end of the race. Also true, I am much slower than you, even on my best day and your worst day, so that may affect the feasibility of those options. – I know people who use applesauce squeezie packs effectively and one who swears by boiled, salted potatoes (no peel, chopped into cubes, in a baggie, super soft to eat – if you use russets/yukon gold potatoes, bouncing in your pocket/pack while you run breaks them down into almost-mush, kind of like a natural, squeezable gel if you rip a hole in the baggie). I switched over from Gu to Cranksport E-gels about 8yrs ago. My stomach has been happy ever since. They are 150 calories instead of 100 like most so I don’t have to take and carry as many of them during the marathon. We are headed to Boston Thursday. The hubs is running the marathon. I’m running the 5k Saturday. My goal is to run a sub-20 but speed training has been little lacking so I’d be happier with a faster time than the last 2yrs. I don’t/cant handle food during a run for the most part–but then again, I’ve never tried fueling DURING a run! I have used all sorts while running and have personally found that gels tend to work best for me. I try to split a pack during the run so I don’t take too much as once. My go-to flavors are vanilla and chocolate – they taste like icing to me!!! Congrats to Skye and your family on her special day. What a lovely way to celebrate! I totally agree with your gel consumption plan – gulp them down quick! I used to take a while eating one, and found out it works much better for me to just get it over with! I do like the flavors of gel that I use, but I lose interest in taking in any fuel on really long runs or races. I know I just need to force myself to do it. I just bought the Birthday Cake flavor of GU because it will be my birthday a few days before my next race. I think fueling/eating all depends on a person’s texture preference. I am very much a texture person – I don’t handle slimy things very well, therefore Gu or anything that texture isn’t the thing for me. I tried sport beans one time and it was too gritty. When I tried Cliff Shot Bloks, it was the perfect texture for me. So knowing what texture you can handle is a big thing in my opinion. I normally always get cramps no matter what I eat before or during running! I always have to work out on an empty stomach – it just works for me personally! Also your dress that you wore to Skye’s blessing is BEAUTIFUL! Love floral dresses in the spring! So I have to ask again, and I reeeally hope you don’t think I’m a pest, haha, but have you shown your kids those Usborne books yet? Girl you need to! So many fun activity books!! I posted the link on one of your recent Facebook posts! HEY!!! We got it at Gap Baby a few weeks ago:) I hope it is still there, we also got the shoes and headband from there! I am so excited for your wedding! Skye looks so perfect and everyone looks so happy and proud. what a great event! thanks for asking this question! i am learning things. like i need to try an applesauce packet on a long run! my daughter loved those things when she was aged 1-2 and i remember tasting them before giving them to her and they were always so tasty…! i have to fuel during a half, i bomb otherwise. what hasn’t worked for me: honey stingers. they were fine during a long run, but not fine on race day. maybe b/c i was recovering from a long bout of food poisoning (5-7 days) and just started eating well 48 hours prior to the race. i don’t know. Or perhaps they just weren’t enough. if i was in a healthy state perhaps they’d be fine. but even during my long run i didn’t feel like they made me feel fresh or anything. what i tried instead that worked for me: a few bites of clif bar finished off with tangerine/mandarin/clementine slices. i peeled two whole clementines and put them in my back pocket for a race. for a long run i used them but i felt they weren’t enough so i added the clif bar which typically helps me on hikes. i never tried it on a run, and i know there’s nothing new on race day, but i knew i’d need it. when i got to the nutrition station i reached for the clif bar and finished off with a few slice of tangerine. i didn’t have time (or energy) to reach for a water too. the tangerine washed down the clif bar well and i got to the next hydration station. i refueled ~30 min after that and again before the finish. it was the first long race in which i felt strong and that i could keep going. i think i under-fueled for previous races and i think this works for me. but as you said, it’s hard to eat tho while running. having it ready in my pocket was helpful. a not great fueling story i have is that i threw away my jacket during a race a mile 6 – and it contained my fuel. needless to say my splits were faster in the first half than the 2nd b/c i couldn’t keep it up. ugh. Goals this week – be kind and smile when I see someone. It makes me feel SO good when someone does this for me. After trying just about everything I now swear by Tailwind. I hate eating while I run and Tailwind solves that issue. I used the caffeinated type and it keeps me going for hours and hours. I am a huge fan of Tailwind as well. I suffered from countless gut bombs before I switched to Tailwind. I was using the non-caffeinated lemon flavor and just recently am using the caffeinated raspberry. I’ve noticed the caffeinated flavor makes me a bit more burpy on long runs, so I’m careful to sip it slowly over time. It also takes a few trials to find the right concentration of Tailwind:water ratio for you specifically. If you over-concentrate your Tailwind, your gut will let you know. I’ve found success in 1-1.5 scoops in 12 oz of water. I usually use 3 scoops total for fuel in a 25K or half marathon. Not sponsored by Tailwind. I’m just a huge supporter of their products and they have wonderful customer service. The ultra-marathon community loves Tailwind. Thank you for your review of it, I have a lot of Anita here issues while running and hope this will help me out! The whole time I run I crave dinner food. Bratwurst is the most common. One time on a really long run I put half a sandwich in my pocket and ate it. That being said, I usually just fuel with gummy bears or honey stinger gels on normal long runs. Congrats on the special day for your family! I have taken a break from blog reading due to some personal stuff. This is the longest I have gone without reading your blog since the very beginning. So, I’m scrolling, catching up, and I see Brooke has short hair. Can you please link the blog post about her hair cut? There’s gotta be one right. She is adorable! It’s great binge reading. But I gotta get right to that one.